Gorgon's final train 1 module. Photo: Chevron. 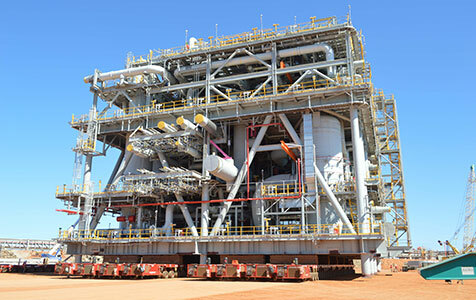 Chevron has marked a significant milestone at its 80 per cent completed Gorgon liquefied natural gas project, receiving the final module required for its gas processing train on Barrow Island.